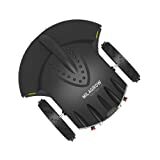 Best Robot Lawn Mowers in India – Milagrow, Husqvarna and top robot mowers reviews, prices - Top 10 In India - Only The Best of everything! LATEST product list, updates regularly! Want to buy a Robot Lawn Mower in India? You are at the right place! Robot Lawn Mowers are very common in the United Kingdom, United States and other European countries. Most homes with lawns and gardens are opting for robot lawn mowers. The reason is that a robot lawn mower works autonomously to keep all grass neatly trimmed all through the year. All you need to do is decide the robot lawn mower settings and turn it on, and it will start mowing the lawn automatically. It will come back to its base station every time its charge runs low, then automatically when it gets charged, it will set out again to start mowing the lawn from where it had left it. That means with almost zero human intervention, the robot lawn mower will keep your lawns cut, trimmed and looking beautiful. Amazon has a 30 days return policy in place. If your robot lawn mower is not up to the mark, damaged or not performing properly, you can return it within 30 days of receiving it. This is like a powerful safety net for you, since you will be investing a considerable amount of money into the Robot Lawn Mower. Amazon only lists high quality fully certified Robot Lawn Mowers, and will not have a questionable or unsafe product on its website. These two reasons are enough for us to suggest that you buy your Robot Lawn Mower Directly from Amazon India. The entire hassle of travelling to an outlet (there are almost none in India right now), not being sure of whether the product is genuine or not, not being certain about return and refund policies. Here are the Robot Lawn Mowers that are available to buy on Amazon India currently. Milagrow is a well known brand that is extremely popular in the United States and United Kingdom right now. Robotic Scheduling: You can select not only a particular time each day but also select a upto 3 sub areas on specific times on a single day. Set up one week (From Monday to Sunday, once for each day) cutting schedule from control panel. Also, with its Auto Recharge, whenever the robotic mower senses a low battery situation, it will shut off the cutting motor and search for the virtual wire. Once found, it will follow the virtual wire to the charging station for recharge on its own. Robotic Lift Sensor: Both front and the two sides of mower are equipped with bump sensors which will get activated when the mower strikes any solid or a fixed object. When the bump sensor is activated, the mower will stop movement in that direction and reverse itself away from the obstacle. Robotic Rain Sensor: There are two rain sensors located on the control panel at top cover of mower. The mower will go back to the charging station automatically when it's raining. Robotic Auto Intelligence: All Milagrow Lawn Robots are equipped with artificial intelligence. Of course you can control them manually too. In Robitic Auto mode, the lawn mowing robots select cutting mode by using their intelligence. There are two cutting modes, going straight and going in spiral circles (high efficiency). They go straight if the grass is sparse or it has been cut off, and they go in circles if the grass is dense or long. Robotic Lift Sensor : Both front and the two sides of mower are equipped with bump sensors which will get activated when the mower strikes any solid or a fixed object. When the bump sensor is activated, the mower will stop movement in that direction and reverse itself away from the obstacle. Robotic Rain Sensor : There are two rain sensors located on the control panel at top cover of mower. The mower will go back to the charging station automatically when it's raining. Another renowned brand in robotic lawn mowers is Husqvarna, that has recently started operations in India. You can check their robot lawn mowers on their website here - Husqvarna India website. You may also be interested in the amazing home robots that are available to buy now. These robot vacuum cleaners for homes automatically clean the floor of your homes without any intervention. 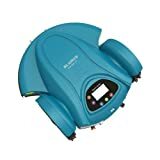 Just set them up once and they will automatically clean the floors of your home every day, recharge automatically on their home bases and complete the job of cleaning the home quietly and efficiently day in and day out. You can check out India's best Robot Vacuum Cleaners for homes here.